Looking for a unique gift for a Silver (25th) or Golden (50th) Wedding Anniversary? The personalised Our First Dance discs are ideal. The centre of the disc is personalised with the name of the first wedding dance song and the artist. 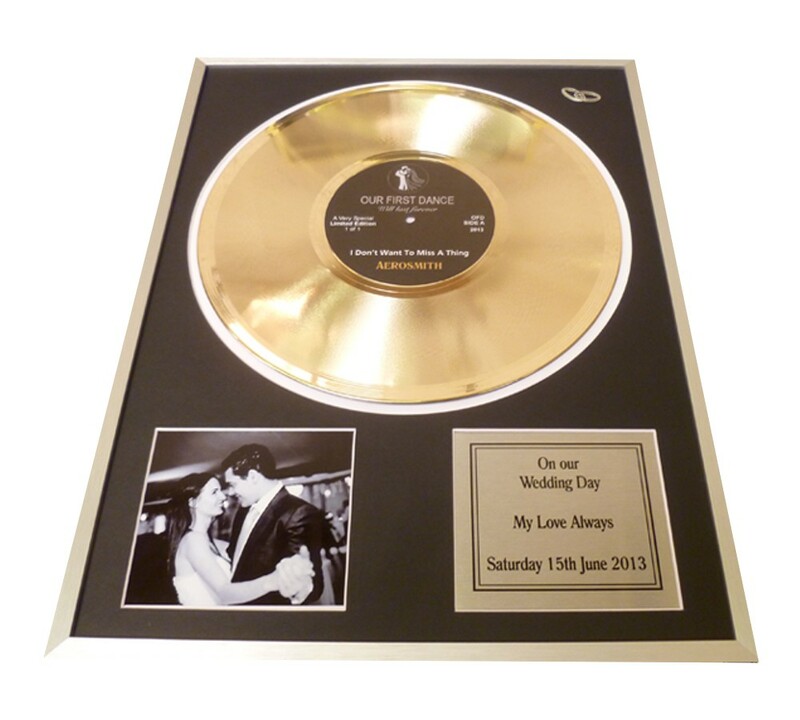 The dedication plate is for you to add a personalised message over 4 lines. You are limited to 60 characters per line. You also add a photo to make this an extra special memento. Please use the upload facility to add your required image.